The three pillars of sustainable tourism are employing environmentally friendly practices (reduce, reuse, recycle); protecting cultural and natural heritage (restoring historic buildings or saving endangered species); and providing tangible social and economic benefits for local communities (ranging from upholding the rights of indigenous peoples to supporting fair wages for employees). As an ecological-concerned company, we tried to combine those three pillar and offer a sustainable itinerary, where you stay in restored hotels or with families in communities, do the most eco-friendly activities and still enjoy everything that Ecuador has to offer. 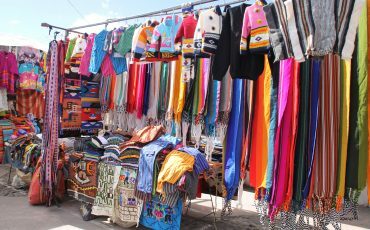 Furthermore, you are going to travel with the “Tren de la Libertad” and visit the Otavalo market. Moreover, you will be fascinated by the diversity in the cloud forest and by the Amazon rain forest. 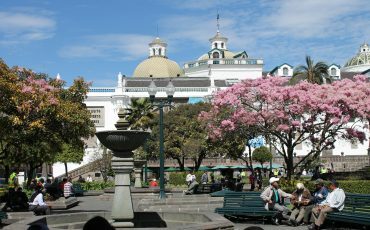 You start the day’s activities with a visit to Quito’s colonial city center. It is Latin America’s biggest and best conserved historic center and was declared a UNESCO World Heritage site in 1978. On a walk around the old town, your guide will show you some of the most beautiful buildings and churches. In the afternoon you visit the social project we support here in Quito. 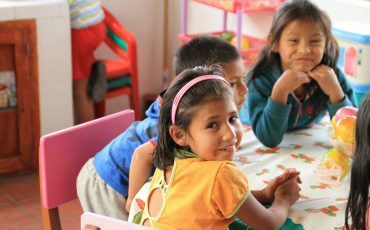 The Refugio de los Sueños (Refuge of dreams) is a day shelter for children from very difficult family situations. Some problems they are facing are interfamilial violence, drug-use by their parents, and poverty. At the Refugio they find a loving environment with staff that really cares about them and supports their development in an harmonious surroundings. Visit the Refugio, play with the children, teach them a craft or learn from them. It is a truly wonderful place. Today’s destination is Mindo, in the Ecuadorian cloud forest. 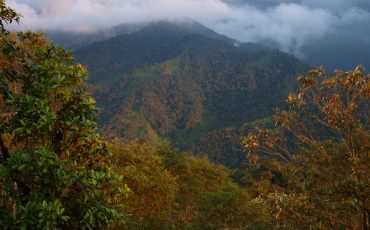 Cloud forest is a special form of the rainforest at an altitude between 2,950 and 8,200 feet with a huge diversity of wildlife. On hikes in the area you can discover the great variety of fauna and flora. 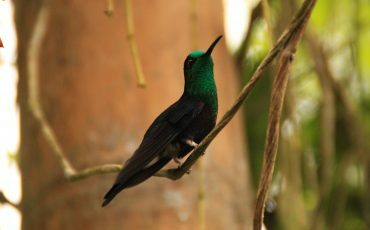 See the many different plants, birds and other things of interest in the forest, visit waterfalls, and be amazed by the variety of hummingbirds. Spend another day in Mindo. Visit for example a small, local chocolate factory that shows how chocolate is made during their chocolate tour. 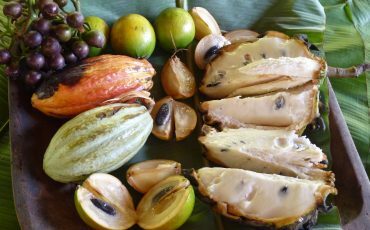 A guide will walk you through each step, beginning with the cacao bean and its origins in South America to how modern-day artisans make chocolate with varying degrees of sweetness depending on its cacao to sugar ratio. Or visit the butterfly farm where you will be dazzled by the variety of colors and shapes and you have the opportunity to see all 4 stages of the butterfly life cycle. After breakfast, you leave Mindo and travel to Otavalo. This town is famous for its enormous indigenous market. It is held every day on the Poncho Square, on Saturdays it extends and covers nearly a third of the whole town. 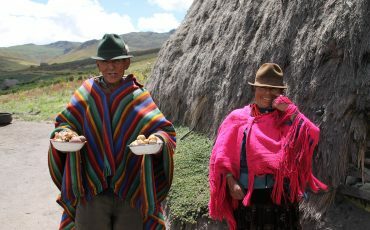 You can find many different handicrafts produced in the surrounding villages: fine woven goods like blankets, hammocks, and tablecloths, jewelry made of silver or the tagua nut (also called vegetable ivory), musical instruments, leather goods, and many other things. In the afternoon you travel to an indigenous community where your host family welcomes you to your guest room (private bathroom, hot water) and invites you to participate in their daily activities. Learn about their organic gardens and how they use the different crops. Enjoy dinner with them and exchange stories. In Otavalo or Ibarra (depending on the day of the week) you will board the Tren de la Libertad (Liberty Train). During the journey you pass several tunnels and bridges and can enjoy the impressive landscape along the way. 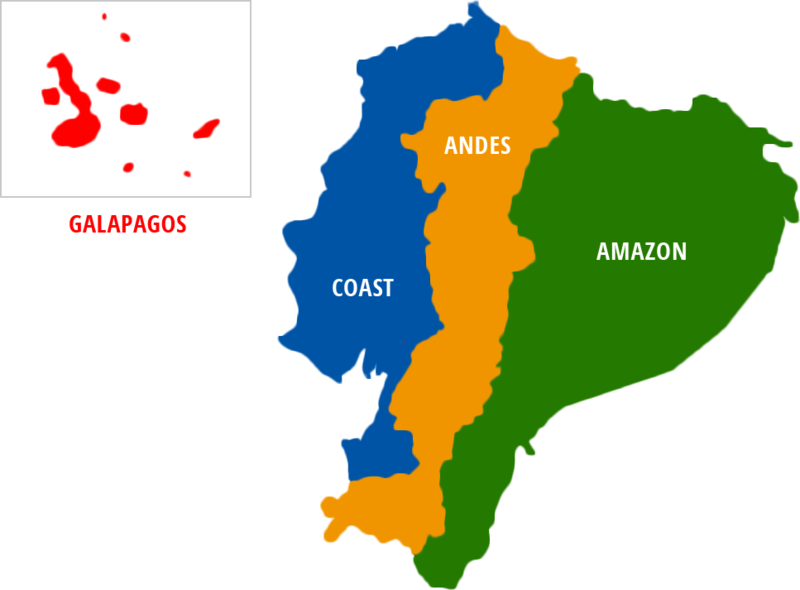 Note the change from Andean highlands to the subtropical lowland of Salinas. Once you arrive in Salinas, there will be a presentation of traditional dances, and later a short walk around town and a visit to the Salt Museum. You spend the night on a historic hacienda between Otavalo and Ibarra. In the morning, you travel to Papallacta, famous for its hot springs. In this beautiful place high in the Ecuadorian Paramo, you can enjoy a bath in a very peaceful environment admiring the beautiful surroundings. The thermal water has volcanic origin and a temperature between 96 and 104ºF. Its medicinal properties have been certified by the Ecuadorian medical association. Besides the thermal baths Papallacta offers more opportunities to enjoy the beautiful landscape. You can follow a path along the river Loreto-Papallacta. In around one hour you can explore the primary forest, a variety of orchids, waterfalls and birds of the high paramo like carunculated caracara, peregrine falcon, hummingbirds and sometimes even the majestic Andean condor. Today you leave the highlands and travel to the beginning of the Amazon basin. 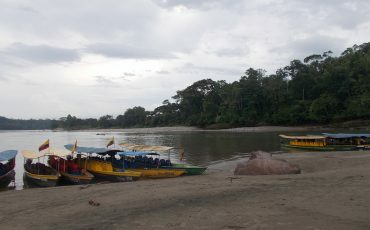 We start our trip to Itamandi EcoLodge at the Arajuno Bridge, where we will take a motorized canoe going upstream for 20 minutes to begin our great experience in the tropical forest. On this ride you can appreciate the magic and beauty of the Amazon rainforest driving along a zigzag river that flows in the jungle like a giant snake, considered the vein system of the Pacha Mama (mother Earth). 6:30pm Night walk (optional) A flashlight and camera are the most important tools on this night excursion, which allows guests to hear the nocturnal sounds and to look for fishing bats, owls, a variety of insects, tarantulas, toads and frogs, and possibly snakes. If the sky is clear, we might have the chance to do some stargazing. For bird lovers we take a canoe ride for 15 minutes upstream early in the morning to visit a parrot clay lick (Saladero). We appreciate a unique site where parrots and parakeets gather in order to obtain the minerals that will help them to digest the fruits or seeds they have consumed. Hundreds of parrots and parakeets will approach the treetops and later will come down to the clay bank to eat this soil rich in minerals. It is essential to have binoculars to enjoy it. After lunch we will go to AmaZOOnico, which is sheltering a number of different animals, some in danger of extinction. AmaZOOnico is not a zoo but a rescue center for animals of the Amazon in Ecuador. We can observe a wide variety of monkeys, macaws, ocelots, capybara, toucans, parrots and many more animals in their natural habitat at close range. After breakfast you leave the Amazon and travel back towards Quito. Pass through Misahualli, a small town that is famous for the group of Capuchin monkeys that live on the main square. Back in Quito you spend the night close to the airport, in a beautiful hacienda set in ample gardens. Train ticket for "Tren de la Libertad"
Single supplement fee: USD $,-p.p. 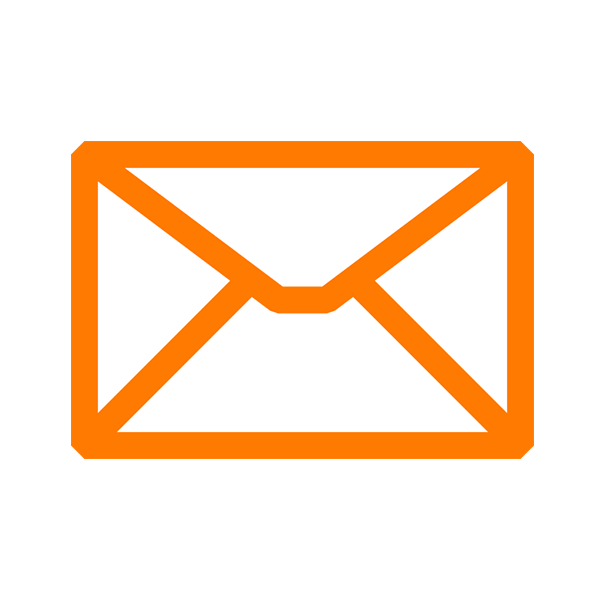 > Community Support USD $5,- p.p.